Rose Quartz Small Votive Candle is rated 4.4 out of 5 by 17. 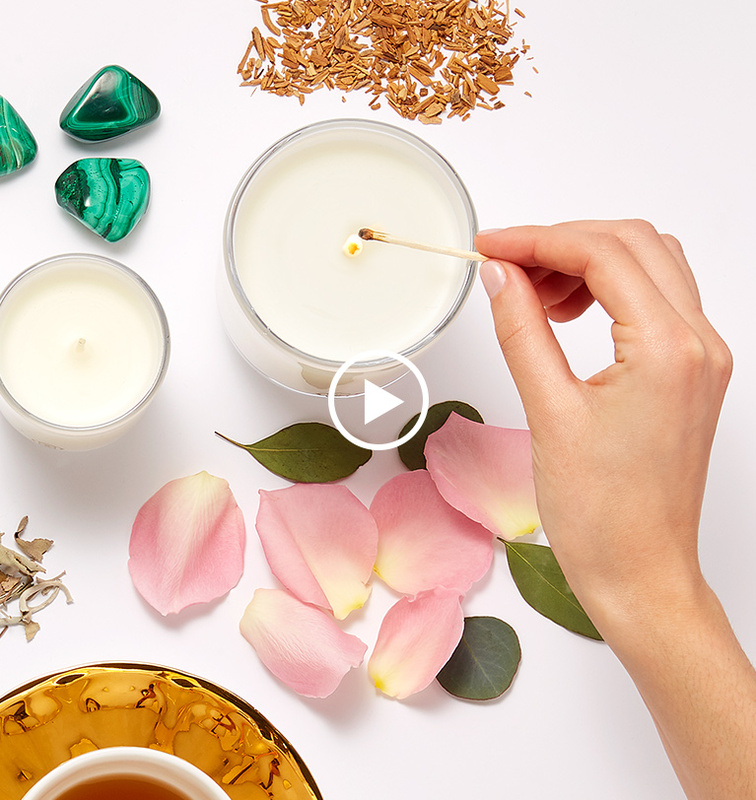 Introducing the Rose Quartz Small Votive Candle: A light, romantic bouquet of wild peony and rose petals with a sweet whisper of vanilla and raspberry nectar. This 8oz votive is a flirty accent to your bath or bedroom that with every purchase, also supports a woman undergoing cancer treatment with a gift of jewelry and a handwritten note. Rated 1 out of 5 by Maryann from Candle has no fragrant smell. I bought this candle, for $50, in order to enjoy the fragrant rose smell as advertised. It doesn't emit any fragrance during burning. So disappointed. Rated 5 out of 5 by panhandlegirl from Absolutely perfect scent!! Since I have Kendra Scott jewelry, the candle seemed a no-brainer, and I'm absolutely in love with the rose quartz one!! It's flowery,fresh, and clean!! can't wait to try the others!!! Rated 5 out of 5 by JenniferCulver from Beautiful fragrance! I am so in love with this fragrance. I really hope Kendra makes a perfume one day! All of the scents blend together so well and it's not like some candles that are so powerful and give you a headache. The scent lingers even after blowing it out. I need this in every room of my home! Rated 3 out of 5 by Dee52 from Candle Fragrance I bought this candle hoping the fragrance would be vibrant but not overwhelming. Although it was nice, it was not a vibrant fragrance that is lasting. Rated 1 out of 5 by KirKus from Did not smell good at all. Very disappointed. Also $25 is a bit much for something so small. Would not recommend. Rated 5 out of 5 by Dr M from I love the rose candle. Light airy fragrance. Beautiful light airy fragrance. Really has rose fragrance. Now I want to try the other fragrances. Rated 5 out of 5 by Patti85 from Beautiful candle! This candle is so elegant and smells delicious! What a wonderful gift this will make for friends! Rated 5 out of 5 by Marti from Love this candle! The candle is so fragrent and I love the way it makes the room smell. Very classy and high end!